Arthur William Matthew "Art" Carney (November 4, 1918 – November 9, 2003) was an American actor in film, stage, television and radio. He is best known for playing sewer worker Ed Norton opposite Jackie Gleason's Ralph Kramden in the sitcom The Honeymooners, and for winning the Academy Award for Best Actor for his role in Harry and Tonto. Carney was a comic singer with the Horace Heidt orchestra, which was heard often on radio during the 1930s, notably on the hugely successful Pot o' Gold, the first big-money giveaway show in 1939–41. Carney's film career began with an uncredited role in Pot o' Gold (1941), the radio program's spin-off feature film, playing a member of Heidt's band. Carney, a gifted mimic, worked steadily in radio during the 1940s, playing character roles and impersonating celebrities such as President Franklin D. Roosevelt and Winston Churchill. In 1941 he was the house comic on the big band remote series, Matinee at Meadowbrook. On August 13, 1970, Elvis Presley recalled meeting Carney in early 1956, when Presley was appearing on Jackie Gleason's Stage Show (TV series). His comments came during one of Presley's concert appearances at the International Hotel in Las Vegas, Nevada. Presley introduced Carney in the audience during his dinner show on that evening. Between his stints with Gleason, Carney worked steadily as a character actor and occasionally in musical-variety. He guest-starred on NBC's Henry Morgan's Great Talent Hunt (1951), The Martha Raye Show (1955–56), The Dinah Shore Chevy Show, and many others, including as a mystery guest on What's My Line? which he attended dressed as Ed Norton. Carney also had his own NBC television variety show from 1959 to 1960. In the season two opening episodes 35 and 36 of the Batman television series, titled "Shoot a Crooked Arrow" and "Walk the Straight and Narrow" (1966), Carney gave a memorable performance as the newly introduced villain "The Archer". In the early 1970s, Carney sang and danced on several episodes of The Dean Martin Show, took part in the Dean Martin Celebrity Roast of his old co-star Jackie Gleason, and appeared as both Santa Claus and his wannabe kidnapper Cosmo Scam in the 1970 Muppets Christmas TV special The Great Santa Claus Switch. Carney was married three times to two women: Jean Myers, from 1940 to 1965, and again from 1980 until his death in 2003, and to Barbara Isaac from December 21, 1966 until 1977. He had three children with his first wife, Eileen (born 1942, died 2013), Brian (born 1946), and Paul (born 1952, died 2017). Brian Carney appears as a GEICO executive alongside the animated gecko in GEICO commercials. His grandson, State Representative Devin Carney, represents Lyme, Old Lyme, Old Saybrook, and Westbrook in the Connecticut General Assembly. His great-nephew is musician/actor Reeve Carney. Carney died in his sleep of natural causes on November 9, 2003, 5 days after his 85th birthday, in his home near Westbrook, Connecticut. He is interred at Riverside Cemetery in Old Saybrook, Connecticut. Jean Carney died nine years later on October 31, 2012 at the age of 93. According to Carney, he was an alcoholic by his late teens. His first stage partner, comedian Ollie O'Toole, "would order gin and grapefruit juice for us in the morning and, gee, it was great." Carney would later use barbiturates and amphetamines as well as alcohol substitutes, and also tried psychotherapy and joined Alcoholics Anonymous to battle his addiction, which he said ran in the family. He finally found success with Antabuse and quit drinking during the filming of Harry and Tonto. Jackie Gleason said that Carney deserved ninety percent of the credit for the success of The Honeymooners. Carney is referenced twice in the song "Celebrity Art Party" by American band The Embarrassment. ^ a b "Art Carney, Lauded for 'Honeymooners', Dies". The New York Times. November 12, 2003. 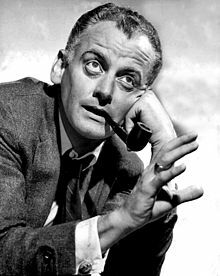 ^ "Art Carney Biography (1918-)". filmreference.com. Retrieved 22 December 2016. ^ "'Honeymooners' actor Art Carney dies." China Daily.com. 12 November 2003. ^ a b "Art Carney Wins in a Film—and Over Alcoholism – Vol. 2 No. 17". people.com. 21 October 1974. Retrieved 22 December 2016. ^ "The Great Santa Claus Switch (TV Movie 1970)" – via www.imdb.com. ^ liam man. "The Great Santa Claus Switch" – via YouTube. ^ "The Museum of Broadcast Communications - Encyclopedia of Television". museum.tv. Retrieved 22 December 2016. ^ "Jean Carney Obituary - Swan Funeral Home - Old Saybrook CT". dignitymemorial.com. Retrieved 22 December 2016. ^ Gallo, Phil (10 October 2002). "Gleason". Variety (magazine). Retrieved 10 December 2017. ^ McLellan, Dennis. "From the Archives: 'Honeymooners' Sidekick Art Carney Dies". latimes.com. John Herbert Gleason was an American comedian, actor, writer, composer and conductor. Developing a style and characters from growing up in Brooklyn, New York, he was known for his brash visual and verbal comedy, exemplified by his bus driver Ralph Kramden character in the television series The Honeymooners. By filming the episodes with Electronicams, Gleason was later able to release the series in syndication, which increased its popularity over the years with new audiences. He also developed The Jackie Gleason Show, which maintained high ratings from the mid-1950s through 1970. After originating in New York City, filming moved to Miami Beach, Florida, in 1964 after Gleason took up permanent residence there. Harry and Tonto is a 1974 road movie written by Paul Mazursky and Josh Greenfeld and directed by Mazursky. It features Art Carney as Harry in an Academy Award-winning performance. Tonto is his pet cat. 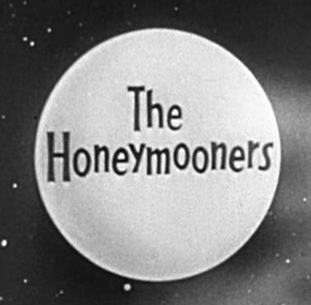 The Honeymooners is a classic American television sitcom created by and starring Jackie Gleason, based on a recurring comedy sketch of the same name that had been part of his variety show. It followed the day to day life of New York City bus driver Ralph Kramden (Gleason), his wife Alice, and his best friend Ed Norton as they get involved with various scenarios in their day to day living. Most episodes revolved around Ralph's poor choices in absurd dilemmas which frequently showed his quick-to-judge attitude in a comedic tone, but have also revolved around more serious issues such as women's rights and social impressions. Richard Mulligan was an American television, film and character actor known for his role as Burt Campbell, the loving, protective husband of Cathryn Damon's character, in the sitcom Soap (1977–81). Later he had a starring role as Dr. Harry Weston in Empty Nest (1988–95). He was the younger brother of film director Robert Mulligan. 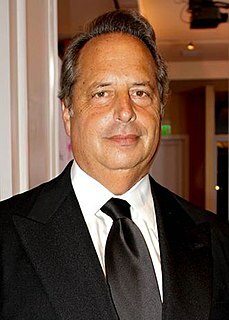 Jonathan Michael Lovitz is an American comedian, actor, voice actor and singer. He is best known as a cast member of Saturday Night Live from 1985 to 1990. He starred as Jay Sherman in The Critic and has appeared in numerous other television series and films. Bruce Davison is an American actor and director of television, film, and theater. 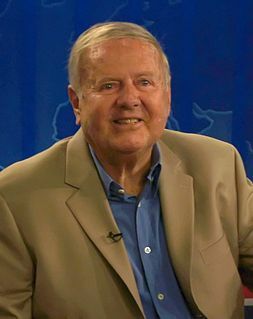 Davison is well known for his starring role as Willard Stiles in the cult horror films Willard (1971), Ben (1972) and Willard (2003), as well as his Academy Award-nominated and Golden Globe-winning performance in Longtime Companion (1989), and as Thomas Semmes in the HBO original movie Vendetta. He featured prominently in the X-Men film franchise – through X-Men (2000) and X2 (2003) – as antagonist Senator Robert Kelly. Richard Vincent Van Patten was an American actor, businessman, and animal welfare advocate, whose career spans seven decades of television. He was best known for his role as patriarch Tom Bradford on the ABC television comedy-drama Eight Is Enough. Joyce Randolph is an American actress, best known for playing Trixie Norton on the television sitcom The Honeymooners. Sue Ane Langdon is an American actress. She has appeared in dozens of television series and had featured roles in films like A Guide for the Married Man and The Cheyenne Social Club, both directed by Gene Kelly, as well as The Rounders opposite Henry Fonda and Glenn Ford and a pair of Elvis Presley movies, Roustabout and Frankie and Johnny. Pert L. Kelton was an American stage, movie, radio and television actress. She was the first actress who played Alice Kramden in The Honeymooners with Jackie Gleason and earlier, during the 1930s, was a prominent comedic supporting and leading actress in Hollywood films such as Bed of Roses and The Bowery. She performed in a dozen Broadway productions between 1925 and 1968. However, her career was interrupted in the 1950s as a result of blacklisting, leading to her departure from The Honeymooners. Jane Kean was an American actress and singer, whose career in show business spanned seven decades and included appearing in nightclubs, on recordings, and in radio, television, Broadway and films. Among her most famous roles were as Trixie Norton on The Honeymooners with Jackie Gleason, and as the voice of Belle in the perennial favorite Mister Magoo's Christmas Carol.